flexiCAD.com has started offering Grasshopper training in Germany. The first class will take place in Frankfurt am Main on the 23-24 June. 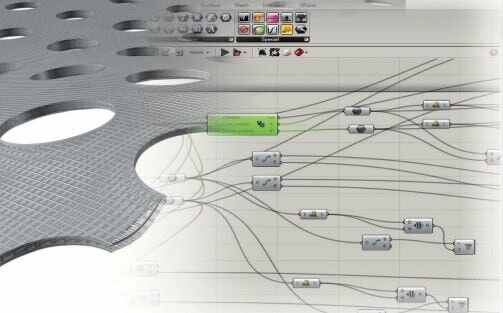 Students will learn how to create parametric geometry using the default Grasshopper components, and how to create their own components in VB.NET. Dimitry Demin (Dipl.-Ing. Architektur). Education at University of Architecture and Fine Arts of Rostov, Bauhaus Universität Weimar, Universität Kassel and ETH Zurich. Working experience at Bollinger-Grohmann Ingenieure and Schneider+Schumacher Architekten. Portfolio here.